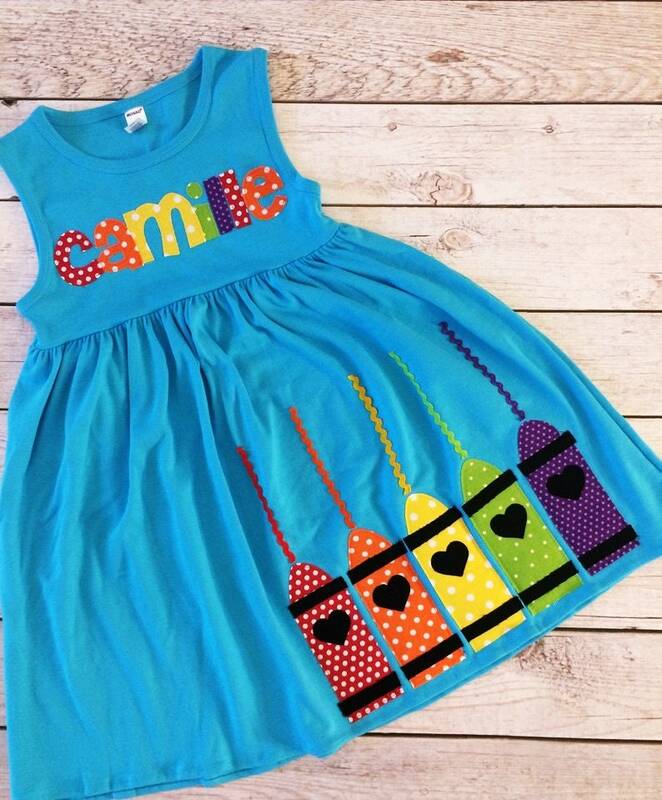 Adorable Personalized Back to School Dress in your choice of dress color and sleeve length (select from drop down boxes). Offered in dress sizes 6M up to size 8. ♥♥All of our hand cut appliques are sewn on using matching thread color and a straight machine stitch, they will fray some after several washes, it's always best to wash your outfit inside out. Top of Shoulder to Sleeves Hem - 10"
Top of Shoulder to Dress Hem - 16"